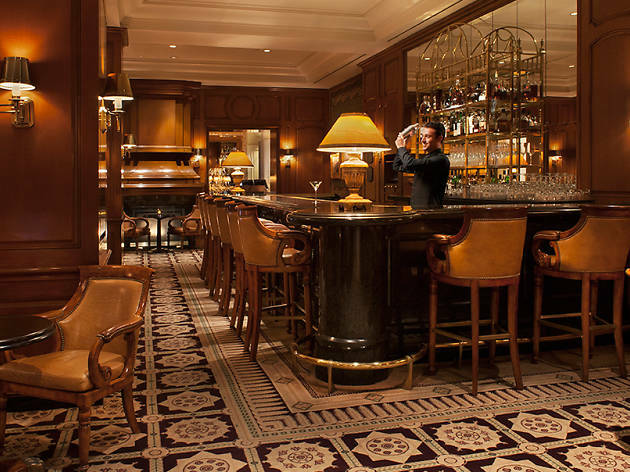 The Club Bar is all swagger, a masculine lounge within the Peninsula Beverly Hills that begs to be admired with a scotch swirling in one hand. Dark wooden panels line the walls, while leather chairs are illuminated under sultry lighting. 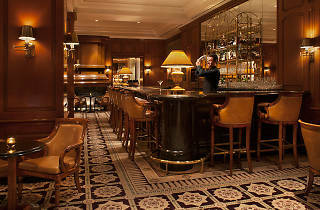 The menu consists of a beautiful lineup of rare scotches, cognacs and tequilas, along with a craft cocktail menu that boasts barrel-aged classics (old-fashioneds, negronis, Manhattans) and specialty drinks. Nibble on mini lobster rolls, short rib tacos and charred Caesar salad while you people watch.